The 2018 season is over for the Baltimore Ravens, and it is time to begin the yearly roster evaluation. This year, we will go through all 10 positional groups and evaluate the state of each group, and make recommendations on what the Ravens need to change this offseason. In today’s article, we will take a look at the inside linebacker corps. Here are the five inside linebackers that were on the 2018 roster. The Baltimore Ravens have to prioritize re-signing C.J. Mosley. Re-signing the four-time Pro Bowl and second-team All-Pro is the most important task of the offseason. 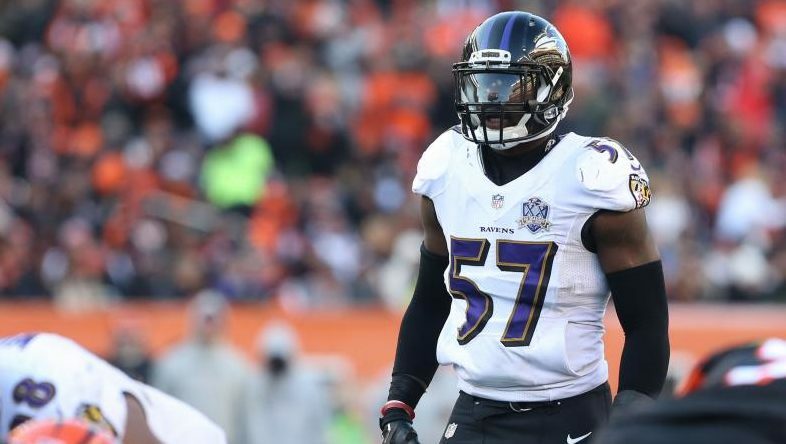 The Ravens cannot allow Mosley to leave Baltimore. While the Ravens typically are hardpressed by the salary cap, by moving on from Joe Flacco and other bloated contracts, the Ravens can clear room in the salary cap. On the open market, Mosley would likely get offered around $10-11 million. Mosley wants to remain in Baltimore, and it is not inconceivable that he would give a discount to Baltimore. If that is the case, I could see Mosley signing an offer from Baltimore that constitutes a five year, $50 million deal that also includes a lot of guaranteed money. The Baltimore Ravens also need to re-sign restricted free agent Patrick Onwuasor. Onwausor had a great burst at the second half of the season and can continue to work next to Mosley with help from Kenny Young in 2019 and beyond. If the Ravens are able to re-sign both Mosley and Onwuasor, the need to target a free agent inside linebacker will be low. However, the Ravens should monitor the market, and make a move if they see a potential upgrade or lose one of the two pending free agents. One player to keep an eye on is Denzel Perryman of the Los Angeles Chargers. Perryman has recorded 168 solo and 226 combined tackles since being drafted by the Chargers in 2015. Much like Baltimore’s own experience with a Perriman, the Chargers have not seen Perryman consistently stay healthy. Perryman never played a full 16 games, and recently suffered an LCL injury that kept him out for the second half of 2018. If the Ravens are concerned about Perryman’s injury history, the team can target L.J. Fort of the Steelers. After going undrafted in 2012, Fort finally found a team he could contribute to in the Steelers. Fort has played in 30 games over the past two years, and in 2018 finally saw production. He recorded 38 solo and 48 combined tackles in 2018. Both Perryman and Fort are expected to be inexpensive options on the free agent market. Do the Ravens Need to Draft an Inside Linebacker? It is never a bad idea to draft another inside linebacker, but the Baltimore Ravens would be wise to focus on re-signing the players already with the organization, rather than trying to find their replacements in the draft. If Eric DeCosta sees an inside linebacker in the later rounds with great talent, he should not hesitate to draft him. However, the Ravens should not add an inside linebacker in the early to middle rounds and expect that linebacker to sufficiently replace Mosley. Mosley is among the best linebackers in the league. It would be foolish to assume that one can find his replacement in this year’s or any year’s draft.